Celebrate, Dream, Design, Connect and Visualize goals. A Goal Setting Workshop that allows you to dream BIG and shows you HOW to make those dreams come true! Everything you need to create your 101 goals. A clearly defined system to pinpoint your top 10 goals for the coming year. Collaboration and Masterminding around HOW you will make these top 10 goals a reality. You will leave with a clear cut action plan and ongoing support so you can live the life you want! This step-by-step system is presented in a workshop format and is available to individuals, small business owners and large corporations to help their employees set and achieve their goals. A facilitated workshop guided and supported by those at your at your table. 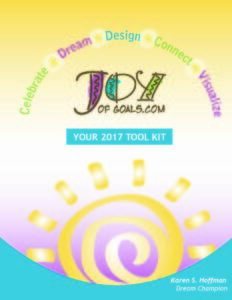 The year long “Joy of Goals” toolkit/workbook to guide you toward your dreams and goals. A delicious catered lunch is included. Luncheon speakers that share their journey. Do you want to stop spinning your wheels and finally achieve your goals and dreams? What Makes The Joy of Goals Unique? Dream: Anything is possible – we take time to allow ourselves to really think about what we want, not just what we know is possible, but what would really rock our world. Celebrate: We provide a time to focus on past achievements and celebrate and acknowledge our past successes. Design: How is this going to happen? What does it look like? What is the strategy to get where we are going? Connect: We provide time for brainstorming, collaboration, sharing and connecting with others. Maybe, just maybe, reaching your goals is simply making just one strategic connection. Visualize: “Act as if” you have already achieved the goals. What does it look like when the goal is accomplished? We spend time not just “thinking” about what we want but “visualizing” that we have already accomplished it. 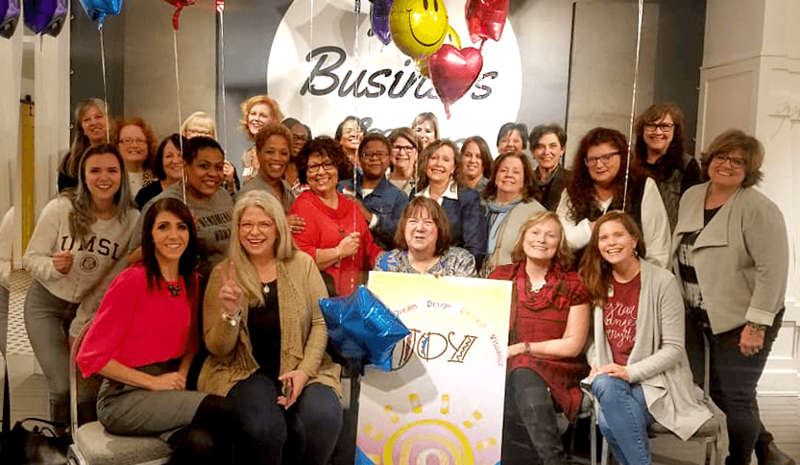 You can tell this workshop is going to help stop your struggle with despair, confusion and guilt over not taking action and will provide you with everything you need to make this the year YOU really realize your GREATNESS. Missed the Big Event but still want to connect with our community? Our big January event has ended. Be sure to visit Gateway to Dreams to see what else is being offered throughout the year. Joining as a member will also give you a discount at next years Joy of Goals and other events throughout the year.